On July 24, the Microsoft announced that the great MS Paint will not be supported anymore. 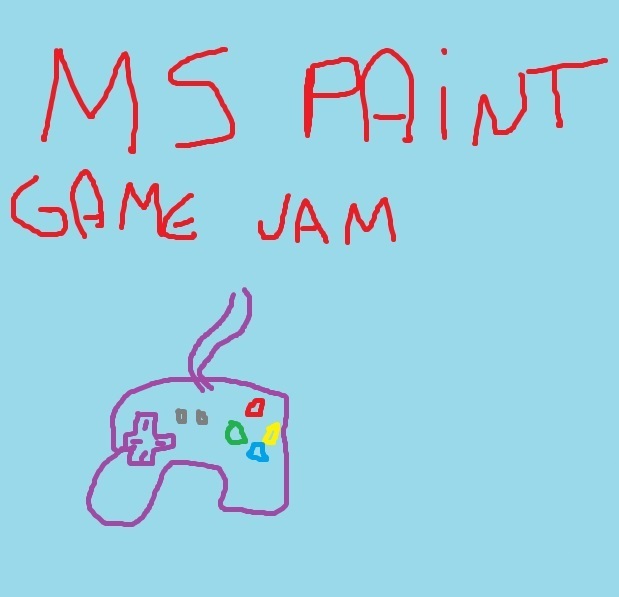 After 32 years using this great software, that allowed a lot of people to create some unique art, this Jam will happen in order to honor the legacy of the MS Paint. The main goal of this jam is create games with that Microsoft Paint art style, if you dont know what that is search for "MS paint drawing" on google and you will have an idea of what to do. You dont need to use Paint to create the art for your game, but you should looks the thing someone would create using MS Paint. Shoot your way through a western wasteland! 1v1 against an AI-controlled warrior to test your combat skills. A shooter game for MS Paint Game Jam. Shoot lasers from your eyes! A #PaintGameJam entry.